This website can be used as a full curriculum for 3 months of Science for any student. With two more additions coming up, it will be able to be used for an entire year of Science. With the other upcoming additions, it will be good for 6 years of Science. CrossWired Science has multiple levels for students from kindergarten through High School. It is a great thing to introduce young children to “deep God-honoring Science” at the earliest ages. It’s also a great thing to bring in powerful science that points to the Lord as students finish their high school years. CWS is geared to put the whole family on the “same science page”! CrossWired Science may be used as a Stand-Alone curriculum or as a supplement to any Science Curriculum. It brings in the “God-element” powerfully in showing the Glory of God through what He has made. We love science, nature and the study of God’s creation. Our desire is to share our excitement about what God has done in His creation with young people and their families across the world. We go deep with kids to create a framework of powerful knowledge that will give students a profound appreciation of all God has created and also a deep understanding of Himself. Our goal is to review and reinforce this knowledge and wisdom to create long-term memory of it that will last a lifetime –and be constantly growing. In the journey to do this, we introduce families to great works of others that also bring out the glory of God through what He has made. Additionally, we introduce students to hundreds of Scriptures related to His Creation so that young people will deeply understand that the Creator is the inspired source of the Bible and the Savior of mankind, through His son Jesus. Have you ever been surprised by something you were expecting to be good, but the reality far exceeded your expectations? That was my experience recently when I received the materials from Cross­wired Science. I was expecting something good. But what I experienced left me saying, “Oh wow, this is GOOD! CrossWired Science is the perfect science solution for many families. By studying the CWS curriculum, students will learn truth after truth of the power, wisdom and love of the One who made this world and all that is in it. And it won’t stop there. A whole lot will rub off on the rest of the family as well. Your whole family will embark on one of the most amazing journeys of your lifetime that will forever change how you will see the world around you. Need some more information about Crosswired Science? Our prayer is that God would raise up a team of people to help many understand the beauty, glory, power, love and intelligence of God through His Word and His Creation. If you’d like to consider joining with us in this endeavor, please email us at contact@crosswiredscience.com. We believe this applies to science instruction, also. Therefore all we produce for “young-ers,” needs to be a blessing to “old-ers” and parents, too. In seeking this goal, the Lord has helped us in our pursuit of a Science program that is glorifying to Him and brings His blessing to the entire family. Multi-­leveled for children of many different ages in a family. Self-­paced with optional enrichment material and activities. Progress is tested and graded for parents’ review. CWS is inexpensive for primary and additional family members. Every experiment works well, integrates into the whole and connects to fascinating concepts. Many experiments are built for intriguing multiple exposures as the students grow older. Isolates the precious from the worthless in endless scientific information –Jeremiah 15:19. Allows for great creativity in approaches. 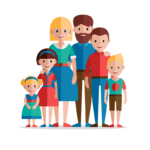 Is completely adaptable for each family’s unique time schedules. Emphasizes the most God-glorifying and important aspects of Science. Contains fascinating hands-­on experiments, activities and collections. Trains the eye to see the vast beauty God has built into the world. Prepares for careers involving science. Significantly integrates computers, science and the real world. Builds life-time interest in all aspects of God’s Creation. Gives exposure to hundreds of invaluable resources. Continually reinforces and builds for life-long retention using the power of the computer, woven concepts, and delight-based exploration. Integrates the wonders of Creation and the power of Scripture to build the family’s love of God and a deep awareness of His love, beauty, power and intelligence.